Routine police patrols and active block watch groups are extremely effective crime deterrents. At Texas Air Authorities, we understand the value of routine patrols and regular checkups on your furnace. When a furnace isn’t maintained and serviced professionally and consistently, it’s vulnerable to being overrun by bad elements. And we all know what happens when the bad guys are left unchecked. They ruin everything. The good guys at Texas Air Authorities will properly inspect and service your furnace to keep the bad elements at bay. But if the unsavory characters happen to sneak in through a back door, we’ll hunt them down and run them out of town—restoring your comfort and your peace of mind. Routine checkups help uncover small problems with your system before they can escalate into major disturbances. They help your system run more efficiently and effectively, providing you with the warm comfort you deserve while saving money on your energy bills. At Texas Air Authorities, we are experts at routine maintenance. Our fully trained technicians will thoroughly inspect your system in Kennedale, Arlington and beyond and will be on the lookout for any signs that trouble could be lurking around the corner. We’ll use our experience and HVAC smarts to ensure your system is a well-maintained machine functioning at peak performance. It’s time to take back control of your furnace from the bad elements that threaten its smooth and efficient operation—and Texas Air Authorities’ furnace maintenance services can help. Getting regular tune-ups are a worthwhile investment because they provide you with the environment you crave and the peace of mind you deserve. At Texas Air Authorities, we offer several maintenance agreements to meet your needs and budget requirements. You can check out the details. To learn more about the benefits of routine maintenance or to schedule maintenance service, call 817-402-3576 or fill out our online form today! Maintain the peace—your furnace’s peace. 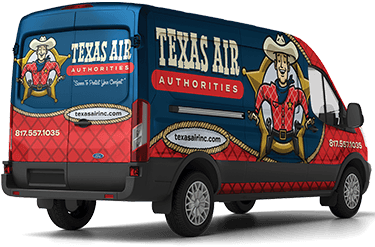 Partner with Texas Air Authorities for affordable, reliable furnace maintenance in Grand Prairie, Mansfield, Kennedale and beyond. Our team is on high alert and well-trained in everything HVAC. Give us a jingle at 817-402-3576 or fill out our online form.